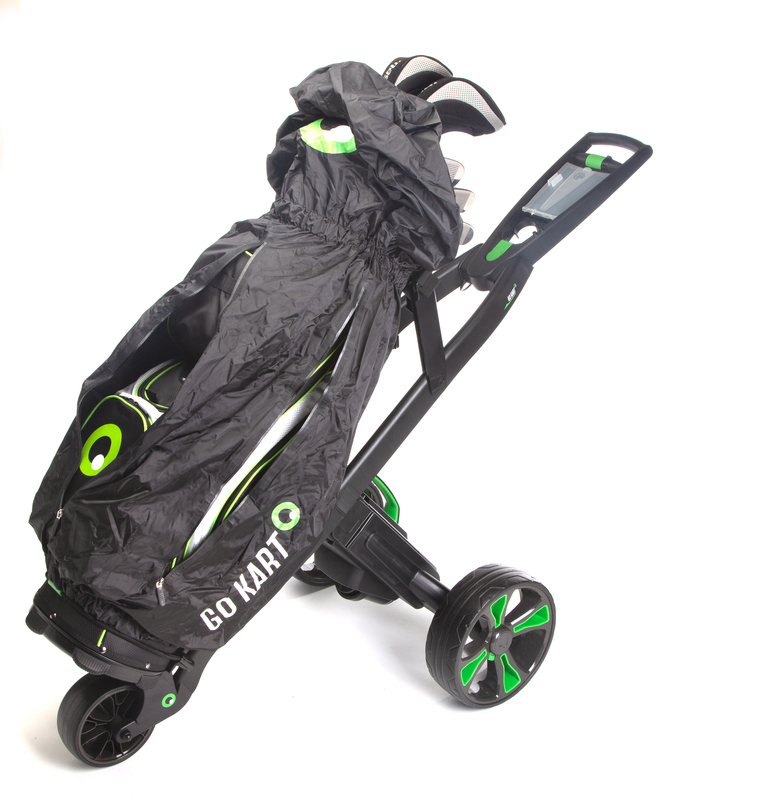 Made from black waterproof nylon, we’ve designed our rain cover to suit any golf bag. Fitting is quick and easy, with snap fasteners to hold it in place. The top section is elasticated; it can be peeled back to get at your clubs, and speedily put back to stop your bag filling up with water. 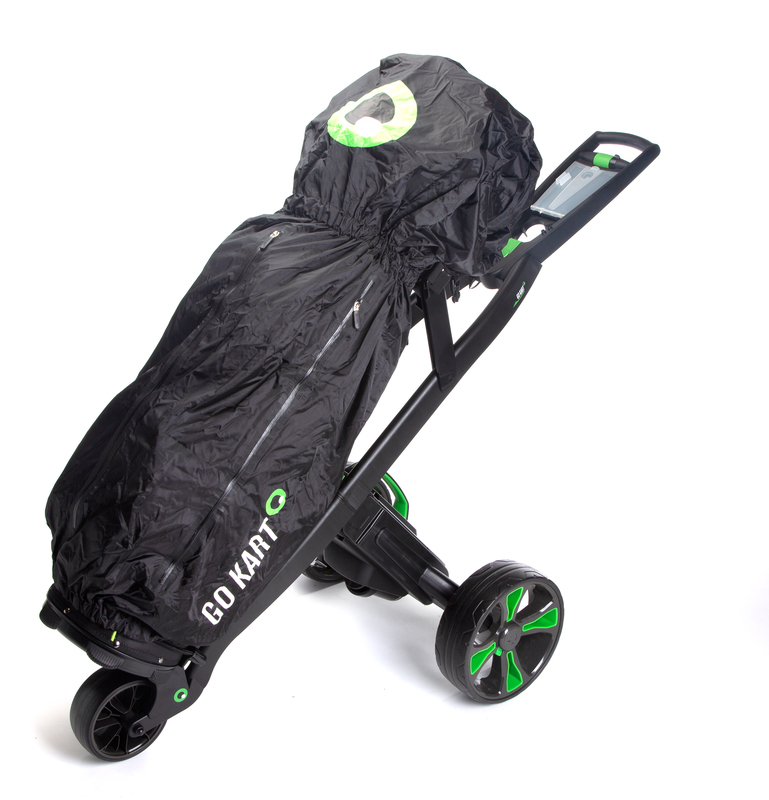 In addition, there are three long waterproof zips in just the right place to give access to all the golf bag pockets. Solving that common rainy day problem of ‘I CAN’T GET MY SNICKERS OUT!’.